It’s February, I know still, and I’m all about comfort food. Even tough my waistline says not to but isn’t that what all the Lularoe I own is for? Concealing the chicken parmesan I ate for dinner and then again for lunch? Growing up my Mom made the best chicken cutlets, they still are one of my favorite meals. 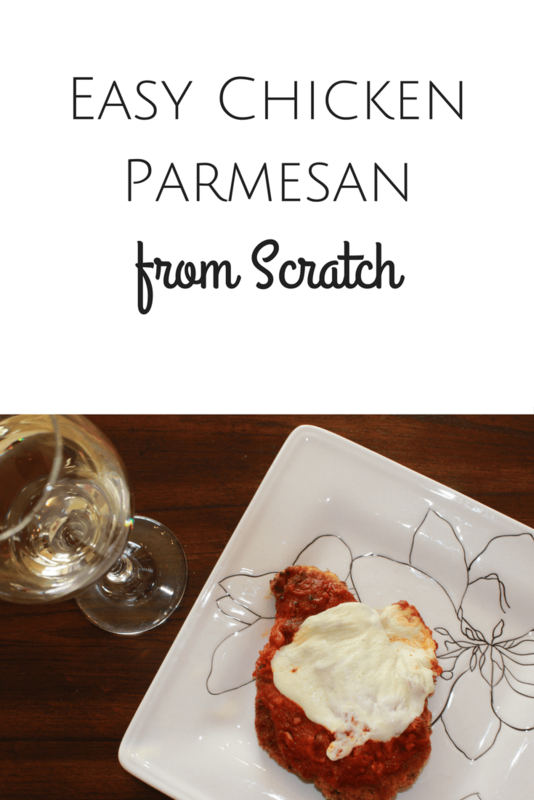 A few years ago my husband got tired of plain chicken cutlets and I decided to make chicken parmesan instead. My husband declared my chicken parmesan the best he’s ever had and I’ve been making it that way ever since. It’s so simple and delicious and even my very picky neighbor said it’s good which is saying a lot. Pre-heat oven to 350. Prep a 13 x 9 inch baking pan, sprayed with cooking spray. Put flour, eggs and bread crumbs in separate bowls. Put 2 Tbsp olive oil in a frying pan over medium heat. Take a piece of chicken and coat with flour, then egg and then bread crumbs making sure to fully cover the chicken. Repeat for each piece of chicken. Before placing chicken in frying pan test that oil is hot enough by sprinkling a small amount of water in the pan, if the water sizzles that pan is hot enough. Place chicken in the pan and cook for 2-4 minutes on each side (till the chicken is browned and flips easily). 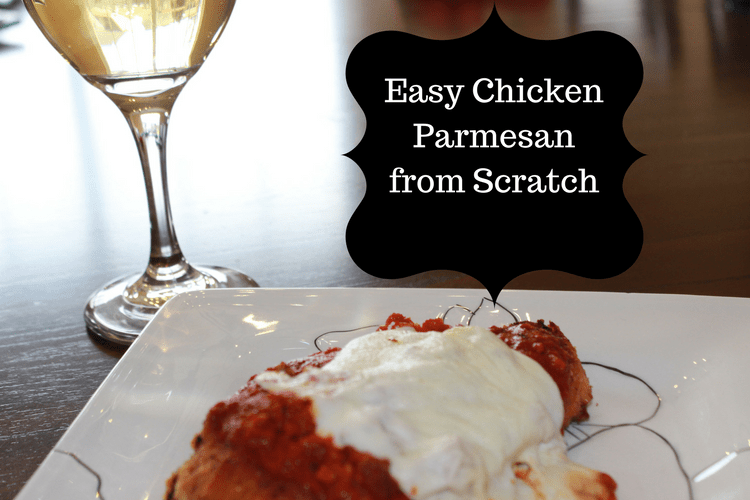 Place chicken in prepared 13 x 9″ baking pan, top each piece of chicken with marinara sauce and mozzarella cheese. Bake for 30-35 minutes. You can serve this dish on your own or you can serve it with pasta. My favorite thing to serve this with is this tomato and spinach risotto, though this does add some time to getting dinner on the table I can usually cook the risotto while the chicken is in the oven and I definitely think it is worth the few extra minutes.